I was on WTOP yesterday afternoon (click here to listen) to discuss aggression in dogs after a woman in Alexandria shot her dog as he was mauling her boyfriend. According to the report the man moved the dog’s toy with his foot and the dog lunged at him. He wrestled with the dog until his girlfriend stepped in and shot the dog in the head, killing him. The man sustained five to nine bites on his body; I do not know the severity of these bites. The deceased dog had a history of aggression related to resource guarding that had previously resulted in other biting incidences. The dog was reportedly a Doberman-pit bull mix and I do not know if he had been neutered or not. I mention this because unneutered dogs are more likely to be aggressive than those that have been neutered. This story is unbelievably horrific on many levels and brings to mind multiple issues related to aggression in dogs that I will address. WTOP asked about certain breeds and if aggression was more common in some than others. The short answer is yes, aggression like any other genetic trait can be selected by breeding two dogs that are more aggressive than others. For example, a desirable trait in greyhounds is predatory aggression, you want a racing dog that has a strong will to chase down something that is running away from it. 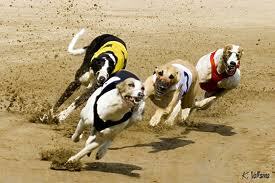 Dogs with this trait will most likely try harder, run faster and win more races than dogs without it. Any dog breed has the potential to be dangerous but the larger breeds get more of the blame simply because they have the potential to cause more damage. A five -pound aggressive Chihuahua is going to be much less of a threat than a hundred pound pit bull in any situation. In addition, breeds such as the Mastiff, Rottweiler and Doberman Pincher were initially bred to be guard dogs and aggression is a desirable trait in a dog for this purpose. Perhaps these dogs have more aggressive tendencies somewhere in their DNA but that does not define their personality. But as we all know in the great nurture vs. nature debate, genetics is only a piece of the puzzle in what makes up any personality be it dog or human. There are many other factors that contribute to a dog being aggressive such as socialization as a puppy, previous training, past experiences and interactions with people as well as other animals. Our dogs do not know how we want them to behave; it is up to us to teach them. It is natural for a dog to guard his food or any other resource he find important to his survival. I am not saying that it is okay or should be tolerated but it is up to the owner to recognize the dog has an issue and take steps to teach him it is not acceptable. For the most part aggression in dogs is rooted in fear and nine times out of ten the dogs tries very hard to show us he has a problem before biting even enters his mind. Dogs communicate with body language; a turn of the head or flick of the ears can be a very clear signal to the dog but we as humans are generally very bad at picking up on these subtle signs. Often it is after the dog has shown every way he knows how to indicate he is not comfortable with the situation that he finally resorts to growling or snapping. It is not until this point that we humans pick up on the problem at which time it has escalated to a serious issue. The take home message with this story is listen to your dog, learn to read his signals because I promise he is showing them to you as best he can. If you notice any signs of aggression immediately find a trainer who practices only positive reinforcement and reward based training. Using punishment based or dominance theory methods on a fearful dog are only going to make the situation worse. If you feel that the issue isn’t resolving make an appointment with a veterinary behaviorist, this is a veterinarian who has advanced training in behavior. A great resource is the American Veterinary Society of Animal Behavior’s website which is loaded with great articles on how you should train your dog and where to find a good trainer. Remember to always listen to what your dog is trying to tell you, it will only improve your relationship.